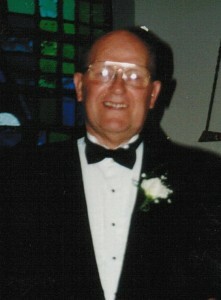 Virgil R. Green, 86, of Warren, PA. died Tuesday morning, February 14, 2012 at St. Vincent Health Care Center, Erie, PA. He was born October 27, 1925 in Warren, PA. to the late Harry and Alverna Holden Green. Virgil has resided his entire life in Warren and had served in the U.S. Marine Corp. as a Corporal serving in the South Pacific and China, during World War II. He is survived by his wife of 60 years, Dolores “Dee” Barber Green whom he married July 28, 1951, 1 Daughter – Kimberly Johnson and her fiance, Darius Abbey all of Warren, PA., 1 Sister – Lucille Nicholson of Sun City, AZ., 1 Sister-in-law, Rose Mary Barber Hovanic of Warren, PA., several nieces and nephews. In addition to his parents, he was preceded in death by 2 Brothers – Harry (Sonny) Green, Jr., Forest Green, 1 infant sister – Beverly Green, 2 Sisters – Dora Lobdell, June Almendinger, his in laws, Walter “Red” Hovanic, Shirley and Steve Swenko, Charles “Buddy” Barber, Dale Almendinger, George Lobdell. So sorry for your loss. My thoughts are prayers are with you. Thank you so much. He will be greatly missed. My heart and thoughts are with you both. Thank you so much. He would have loved to see you “all grown up”. Sorry to hear of your loss! I am so far behind on things in Warren, and just found out about Virgil. Hugs and God Bless!